UC implementation rates doubled from 2010 to 2011; 16% of organizations are fully implemented today. 76% of the organizations that have implemented UC fully said that ROI had met or exceeded their expectations. Respondents ranked increased employee productivity (53%) and reduced operating costs (48%) as the chief benefits of UC. 41% of the IT professionals said that they had difficulty securing budget to fund UC implementations, and 29% said they had trouble securing reliable cost projections. Among respondents who had fully implemented a UC solution in the cloud, 75% said cloud computing enabled faster UC deployment, and 65% said cloud computing made it more cost-effective to deploy UC. 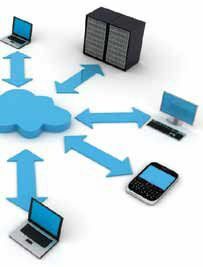 The two most commonly deployed communication solutions are smart phones and mobile desktops; 80% deploy each technology. Among K–12 institutions, mass notification is a top benefit.